AN CAFE - Major Debut Single "Sennen DIVE!!!!!" Release | VKH Press – J-Rock & Visual Kei Coverage Worldwide! 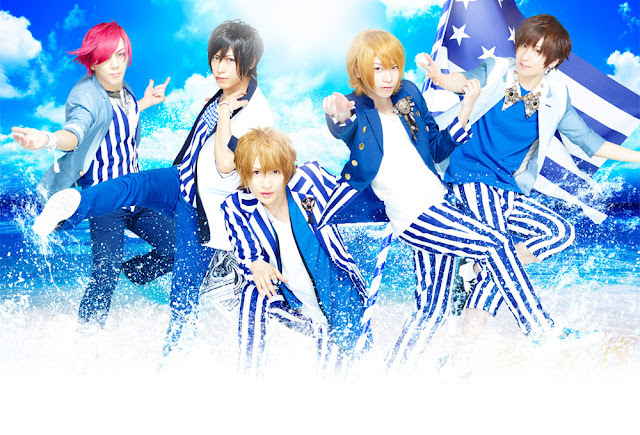 Earlier this year, AN CAFE announced a surprise to their fans that they were finally going major this summer (here). Now, they announced that they are ready to release their first major single on their new label, White Cafe! The single is called Sennen DIVE!!!!! (千年DIVE!!!!!) and it will be on sale August 26 in 4 types! The limited edition will cost 1800 yen and it will have a CD with 2 songs and a DVD with the single's MV, making-of, and an interview with the members. The Musing edition (purchased here) will cost 5400 yen and it will come with a CD with 2 songs with a different second song, a DVD with special content, and an A4-sized photobook. Regular edition type A will cost 1000 yen and contain a CD with 2 songs, with one song being a 2015 version of "Smile Ichiban Ii Onna" (スマイル1番イイ♀). Regular edition type B will have 5 different variations with one for each member. It will cost 500 yen and will just have the one CD with only the single on it.